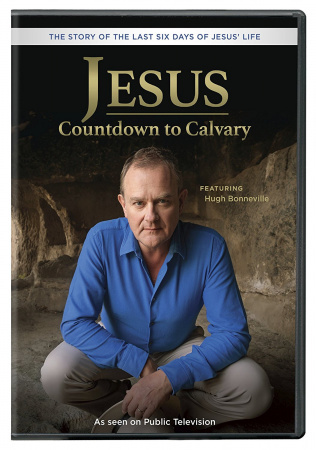 Jesus: Countdown to Calvary - Hugh Bonneville reveals how a perfect storm of political intrigue, power struggles and clashing religious passions combined, in a single week, to cause the event that changed the world: the killing of Jesus. Jesus: Countdown to Calvary offers a revolutionary new telling of "the greatest story ever told" - the story of an itinerant Jewish healer and preacher, who went from hero to victim in a single week, 2000 years ago, and ended up dead on a cross. For the first time on television, world-renowned actor and Cambridge theology graduate, Hugh Bonneville, sets out to discover why that one execution, in a century when as many as 500 people were killed in a single day by the Romans, had such seismic, lasting and global impact, for better and for worse. He uses all the investigative and storytelling tools at his disposal to reveal the context, characters and chain of events behind the week that changed the world. In the process, he finds that this is no dusty religious story, but a political thriller - a whodunnit, even - shot through with intrigue, spin, conspiracy, power battles, betrayal and terror. 60 minutes.